…in Sussex, Leonard Woolf, 33, is going on a speaking trip to Birmingham on behalf of the socialist Fabian Society. He is particularly worried about leaving his wife, Virginia, 32, on her own at their home, Asham. They’ve been married less than two years, and she has been quite ill for a lot of that time. Before he leaves they negotiate a strict schedule for her to follow in his absence. 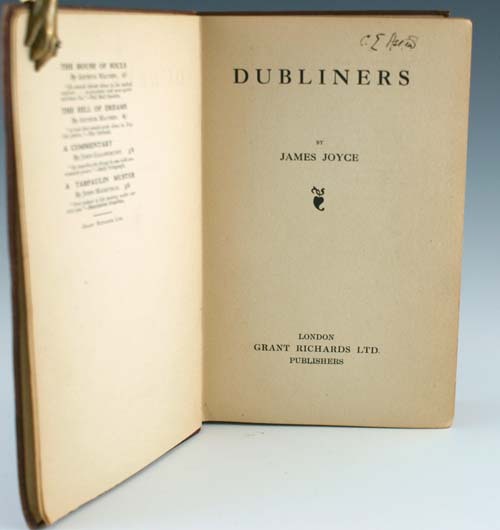 In London, publisher Grant Richards brings out the first edition of Dubliners by James Joyce, 32. The same publisher had turned down the collection of 15 short stories a decade earlier, but this time is persuaded by American poet Ezra Pound, 28, who is serializing Joyce’s novel, A Portrait of the Artist as a Young Man in his magazine The Egoist. The United Kingdom is debating the pros and cons of switching to daylight saving time. The Manchester Guardian says yes! 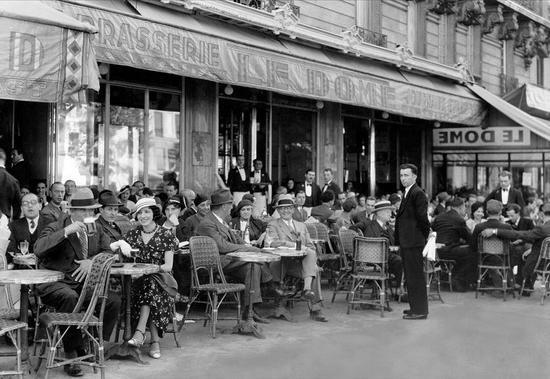 By the end of the month, Alexander Woollcott, 27, whose employer, the New York Times, appointed him as drama critic and then sent him off to Europe to learn about theatre, is soaking up all he can and getting ready to head over to Paris. American ex-pat Gertrude Stein, 40, has just bought the first of many paintings by Juan Gris, 27, from one of her favourite art dealers, Daniel Kahnweiler, just turning 30. But she is most excited that she has finally seen one of her first works, Tender Buttons, published in the States. So far, reviews are mixed. 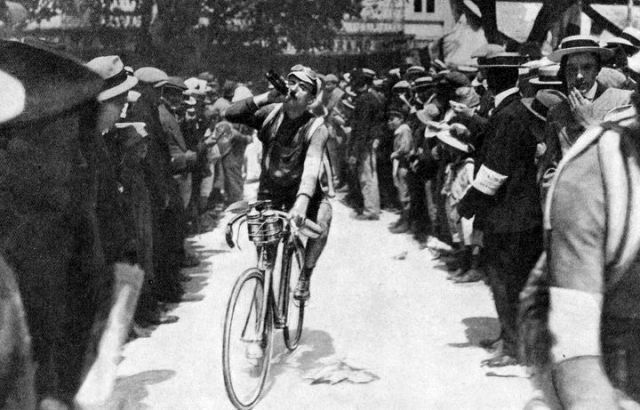 On 28th June, all of Paris cheers on the start of the twelfth Tour de France. …in Chicago, novelist Sherwood Anderson, 37, is impressed by Stein’s Tender Buttons. 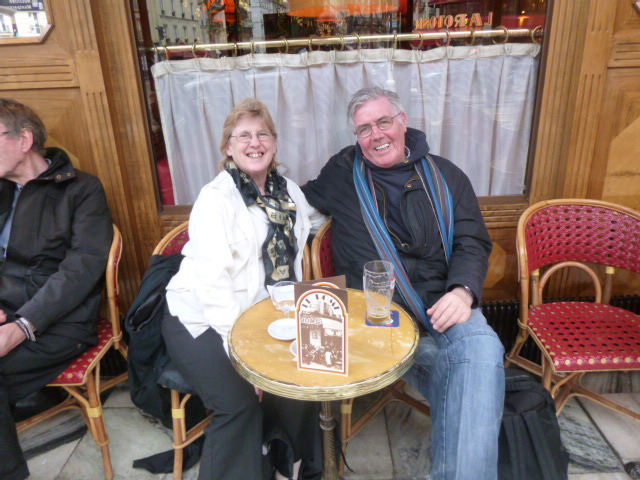 He has read about her cubist approach to literature in a new magazine, The Little Review, published by Margaret Anderson, 27, which has asked him for contributions. In Kansas City, MO, Virgil Thomson, 17, graduates from Central High School and is heading off to the new Kansas City Polytechnic Institute, practicing the organ in his spare time. In St Paul, MN, Francis Scott Key Fitzgerald, also 17, is lamenting to his journal that he has failed algebra, trigonometry, coordinate geometry, and most humiliating, hygiene. 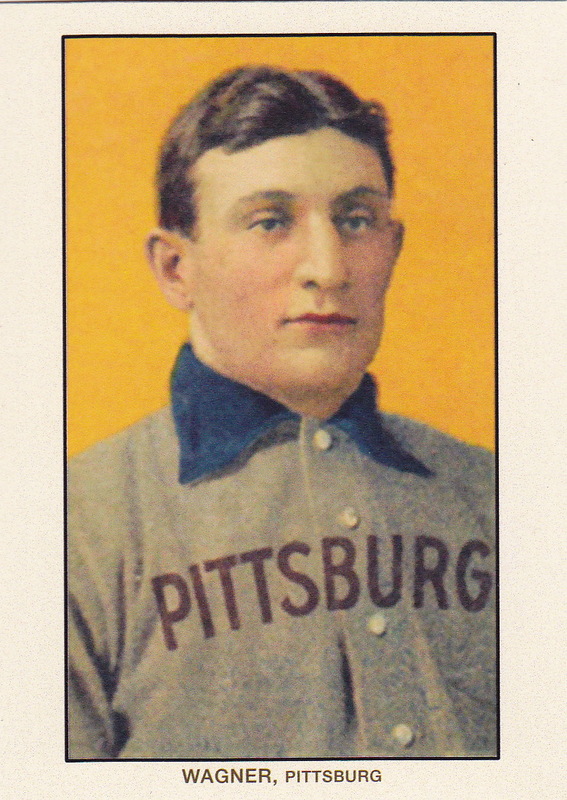 In Pittsburgh, the Pirates’ Honus Wagner, 40, becomes the first baseball player in the 20th century to have 3000 hits. In New York City, Dorothy Rothschild, 20, is putting her convent school lessons to work by teaching dancing classes, and sending light verses off to the city’s many newspaper columnists. She doesn’t think of these as real writing. Her father, who died a few months before, used to toss them off as jokes, so, obviously, anyone can write like that. Dorothy dreams of having one of her poems published in the most important column in the city, the New York Tribune’s ‘Conning Tower,’ written by FPA [Franklin Pierce Adams], 32. Adams has been lured to the Trib from the Evening Mail, bringing his substantial readership with him. 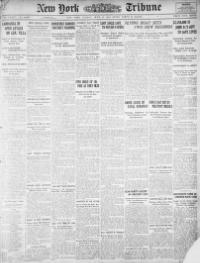 On June 28th, the front page of the Tribune reports that former president Theodore Roosevelt, recently returned from his South American expedition, is cancelling a speaking engagement in Pittsburgh on doctor’s orders; John D. Rockefeller is donating $2.55 million to the Rockefeller Institute for Medical Research; and Mrs. A. H. Miller, 28, has drowned in a reservoir when the horse pulling her wagon is scared by a goose. 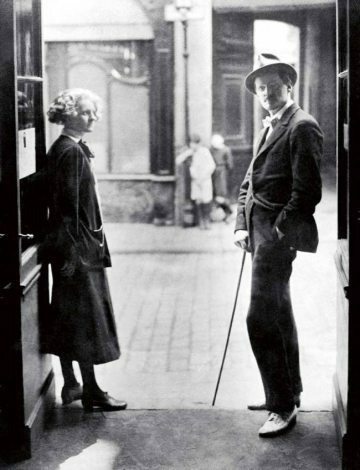 …in England, The Egoist magazine runs the first of 25 instalments of “A Portrait of the Artist as a Young Man” by Irish writer James Joyce, who turns 32 on this date. Dora Marsden, one month younger, had founded The New Freewoman suffragette magazine the year before, but American poet Ezra Pound, 28, had convinced her to change the name and start publishing modern writers like Joyce. Pound had discovered Joyce’s work the previous year through his new best friend, poet William Butler Yeats, 48. They have been living and working in Stone Cottage in Sussex, with Pound helping Yeats because his eyesight is failing. 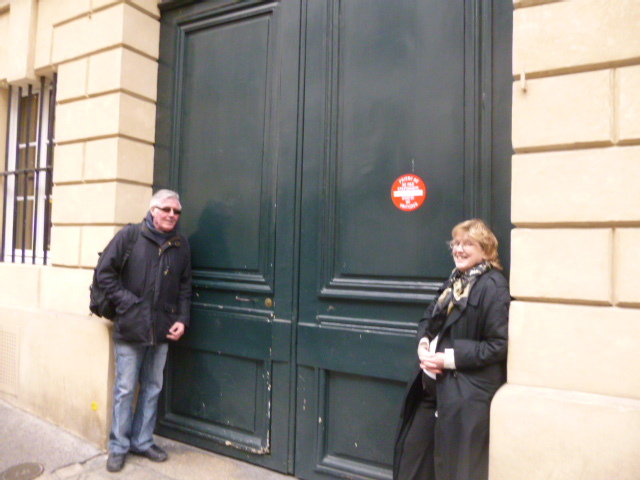 Joyce is working as an English teacher in Trieste, Italy, having his work rejected by publishers in Ireland and England. His partner, Nora Barnacle, 29, takes care of their son Giorgio, 9, and daughter Lucia, 7, and puts up with Joyce’s drinking and ever-wilder schemes to make money, including running the first cinema in Dublin, during his frequent trips back home. But if you can’t make that, I’ll be talking about Joyce again on Monday, 24th February, at the Birmingham and Midland Institute, from 1 to 2 pm. Mention ‘Such Friends’ and they will waive the members’ fee! 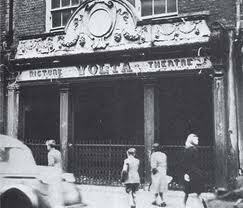 Here’s a picture of the movie theatre Joyce managed in Dublin, taken many years later.